Students are the University of Hawaii at Manoa are planning what may be the state's biggest graduation party this spring. The UH Manoa student government has tentative plans to close Dole Street for a $40,000 to $50,000 block party after commencement May 18. The party is meant to cap the school's centennial celebration. "Even though we've been around for a hundred years, the campus really doesn't have any traditions," said Christina Stidman, president of the Associated Students of UH Manoa. 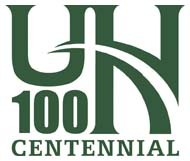 "We want to highlight the centennial, as well as hopefully create a lasting tradition." Tim Slaughter, programs specialist at the UH Outreach office, said the university sent in its road closure permit application to the city Friday. The university hopes to close Dole Street between East-West and Lower Campus roads for the party, which could attract 10,000 people. Stidman said the money to pay for the party money could come from the student government's annual budget of about a half-million dollars, or the centennial fund and corporate sponsors. Commencement still will be held in the Stan Sheriff Center, but the lei giving would be moved up to Dole Street as part of the block party, Slaughter said. Slaughter and Stidman have made presentations of the plan to the neighborhood boards in Manoa and St. Louis Heights. "We're still trying to work out the logistics, but it's mostly just a forewarning months in advance," Stidman said. Paul Holtrop, chairman of the Manoa Neighborhood Board, said the board had no concern about the party, because parking would be contained on campus, and access in and out of Manoa would not be overly hindered. "It'll be another thing if they were talking about closing down University Avenue," he said. "Commencement is a real big deal, and I think the block party sounds like sort of a nice idea to be honest." Slaughter assured the Manoa board that emergency services will be available. There are always two ambulances available during commencement. Slaughter stressed that the plan is in its infancy stages, and meetings are still being held with other divisions of the university. "We continue to keep the chancellor's office involved, the parking office, all of these people to address their concerns internally," Slaughter said. Slaughter said the event "won't necessarily" be a dry one. A beer garden will more than likely be available somewhere on campus, but not on Dole Street.